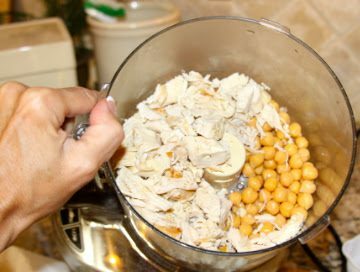 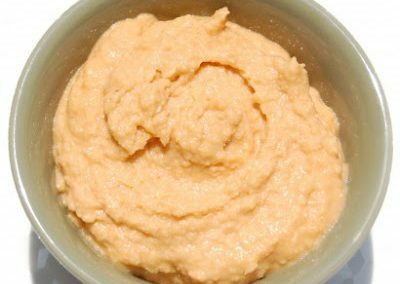 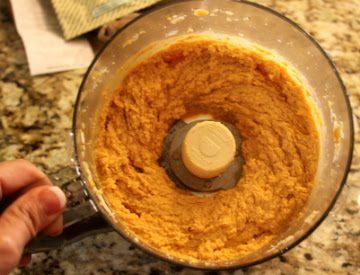 In your food processor, combine the chickpeas, chicken and garlic and pulse until pureed, add in 2 TBS liquid from the chickpeas, lemon juice, olive oil, sesame oil/Tahini and wing sauce and pulse until incorporated. 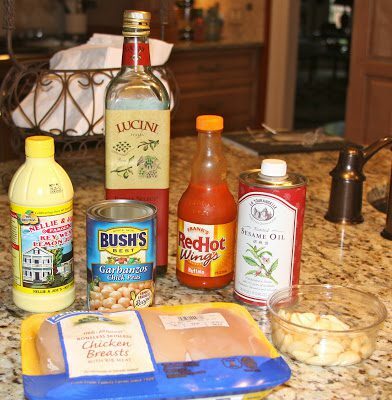 Adjust to your taste (add more wing sauce or red pepper, etc).Chicken is optional, as it will still have that buffalo taste without it. 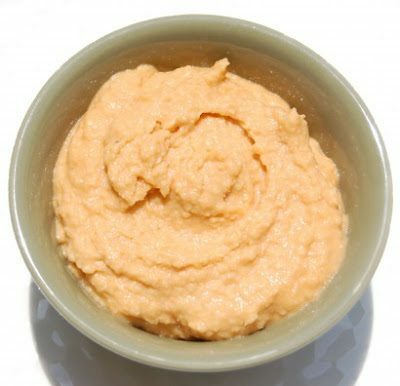 Serve with pita chips, veggies or crackers.